What would you rather do: have a bucket of ice water poured over your head or drink a cold beer? 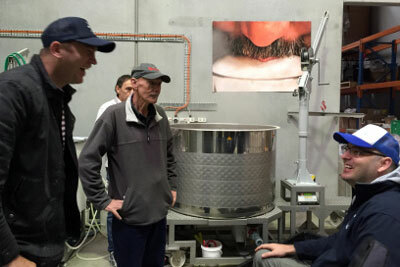 Because the folks behind the Brewmanity project, Melbourne AFL legend David Neitz and experienced beer industry head Barney Matthews, might have found a more palatable way to help find a cure for Motor Neurone Disease. 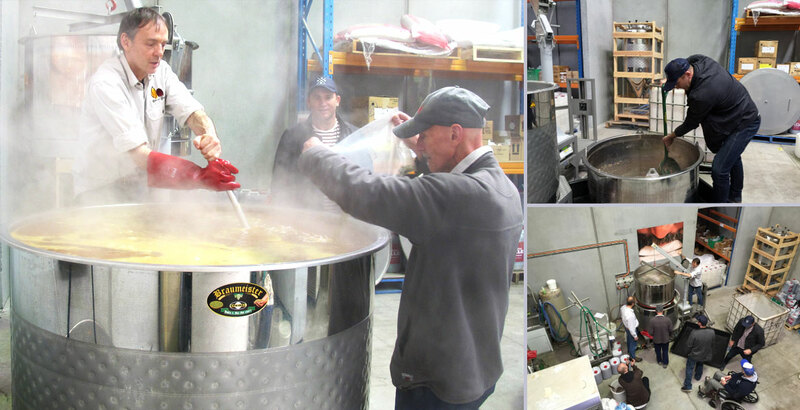 The Crafty Pint attended a brew day at Yarraville’s Grain & Grape for the brewing of the second batch of the forthcoming Brewmanity Pale 141: a concept beer driven by giving and supported by some big names. Brewmanity is paired with micro-donation organisation Buy 1 Give 1 where, for every beer purchased, they donate a day of clean drinking water (ergo: the "one-for-one" pale). Funds will also go to the Cure for Motor Neurone Disease Foundation, highlighted earlier this year by legendary Dees coach Neale Daniher’s Big Freeze at the ‘G event that raised funds and awareness for the fight against the crippling disease. David had the concept and, after the Big Freeze, approached Daniher and Cure for MND President Ian Davis with the idea. Having already worked with Cavalier on the Cavalier Courage project, which also supports MND research, Ian is the beer tragic on the team. “Neil will just drink the beer,” he says with a smile. While Ian had input on Courage, the Brewmanity project is driven by David and Barney. 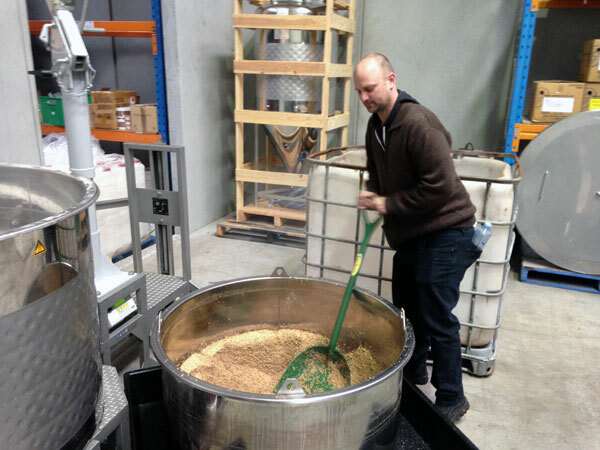 Through his CUB connections, Barney was able to bring on a Chief de Beers in Mick Jontef (pictured at top adding hops to the brew). Mick could hardly be better qualified: a CUB veteran since 1973, he’s a hop expert who was involved in the development of Galaxy, a renowned tasting guru, and spearheaded, among other things, production of the brewery's most extravagant release, the annual Crown Ambassador Reserve Lager. Unsurprisingly, the Brewmanity Pale 141 has an all Aussie hop regime: Ella and Vic Secret. For all that, don’t expect a monster pale. The aim is sessionability and repeat patronage. As for the target audience, David says they’re aiming to please the average swiller at the footy as much as the moustache-twirling sipper. While nobody would deny that charity brews are a good thing, when it comes to the health sector some might speculate that marrying alcohol and a charity for disease is an odd choice. Indeed, Ian was knocked back from several MND charities when he initially proposed the Cavalier Courage idea, which sees a portion of each sale of the blonde ale go to charity. In the end, he set up a foundation himself and saw the first batch of Courage sell out before it was even brewed. 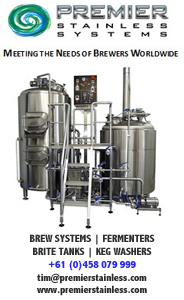 Brewmanity will be launched at Beer DeLuxe and feature on The Footy Show on September 23. After that comes Brewmanity Hour, where pubs are being encouraged to replace their Happy Hour on October 23 and donate their profits to the Cure for MND Foundation. For more information on the project, order some beer or make a donation, head to the Brewmanity website. Andrew Tijs has been writing for fifteen years, pouring crafty pints for three years, attempting to homebrew a decent saison for one year, and drinking for some time.